A little over a decade ago, a world-renowned destination, The Taj Hotel, was under siege when a group of heavily armed gunmen entered the building with one simple goal: kill as many people as possible. Out of the wreckage of a terrible event came great courage and heroism, and that is the ultimate message of Anthony Maras' film, Hotel Mumbai. Based on Victoria Midwinter Pitt's horrifyingly in depth account of the attack, Surviving Mumbai, Maras and co-screenwriter John Collee tackle the deadly day with a ferocity that should put the filmmaker on the map. Without employing the Hollywood twist of extra heroism or filtering the tragic events through a more digestible storytelling format, Maras and Collee don't hold back on the toll that a group of men armed with machine guns unleashed that fateful day in India. Driven by a religious quota, they stormed 12 different locations in Mumbai, including a train station, multiple restaurants, and The Taj. Maras wastes little time in setting up the day, showing the hotel waiter, Arjun (Dev Patel), kiss his wife and kid goodbye before heading to the hotel. We meet the rich couple, David and Zahra (Armie Hammer and Nazanin Boniadi), and their lovely baby and nanny. Chef Oberoi (the superb Anupam Kher), who instructs his staff that "the guests are God." It's not long before bullets fly and hit just about everything in their path. I'll be upfront with you here and warn you that this film is ferocious with the violence, and I am not talking about extreme gore. The pale silence of the gunshots and the bodies they rip into is frequent and personal, with the camera showing us the faces right before they drop. The score is effective and ramps up towards the end of the film, but the up close and personal scenes of carnage are startling, and will move you in many ways. However, if you are brave enough, this is one of the better thrillers I have seen in quite some time. When it comes to true stories told on screen, Maras' film is dished out in the most visceral way possible. We are thrown into the point of view of a survivor, watching from their eyes for most of the film as the terrorists wreck havoc on the building. When they overtook the hotel, it was for political reasons, with orders being given to them from Pakistan via cell phones and headsets from the killers. Some of the most unsettling scenes are when the voice instructs the gunmen to make the killings public, which means placing the American guests next to the window and executing them so the world can see. More than 100 people died in the hotel alone, with many of the casualties being staff. The local police force was over-matched and had to wait for special forces from out of town to arrive, which took the better part of the day. 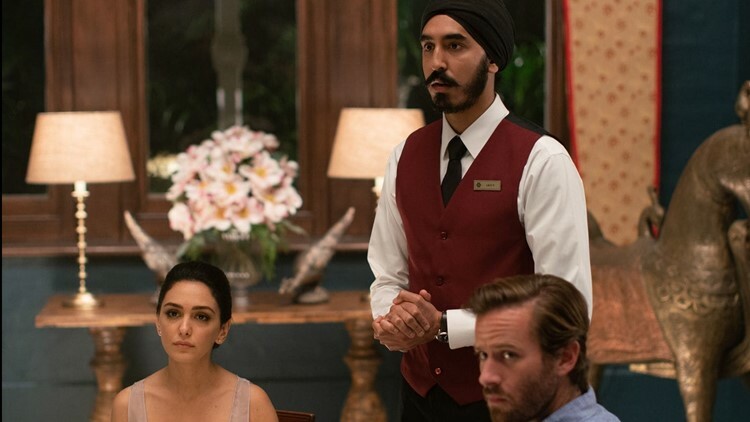 Hotel Mumbai succeeds as a first rate thriller because it doesn't hesitate in showing the grim reality of the day, but it doesn't forget about the heroism that was on display. Whenever terrorists attack, be it the Boston bombing or 9/11, strangers rise up to help strangers, and Maras evokes true power by putting the work of several on display without dipping their actions in melodrama or overloaded hero acts. There is no slow motion or iconic action moment in this film; just ordinary people trying to survive and help others survive. Without diving into Hollywood conventions and tropes, Maras and Collee pay homage to the survivors and victims. When you leave this film, you'll be emotionally moved. Seeing the death will rip you to pieces; seeing the rugged acts of love will help put your back together before the credits roll. There's a moment towards the end where a female pleads for her life not by begging, but for reciting the exact words that the messenger is instructing the killers to do harm with. When it comes to religious motives, it goes both ways, and the filmmakers use that in a pivotal moment. In another moment, two surviving staff members just embrace each other after a night of agony and torment. The silent moments in this film, where the dialogue isn't required, speak the loudest. The acting is top rate across the board. Patel is the unlikely but invested everyman here, a waiter trying to save as many lives as he can while getting home safe. Kher, so good in Silver Linings Playbook and The Big Sick, has many great moments as the Chef who willed people to follow his word. The real Chef consulted on the film, making sure they got certain things right. Dare I say that Hammer is even effective as David, a family man desperately trying to save his own. Jason Issacs has a juicy supporting role here as a rich guy with some secrets. Without overpowering the material, the cast does very fine work. Here's the thing. Courage and heroism comes in many shapes and sizes. Sometimes, the most unexpected act from the most unlikely person saves the day. Other times, it's a collection of acts that paves the way for life to ultimately defeat death. Thanks to Hotel Mumbai, I'll never forget what Nov. 26, 2008 meant to the staff, guests, and residents of the Taj Hotel. On a day where darkness tried to succeed, the light came crashing back. Pardon me, this film has made me ramble. I'll end with this. Go see this film. It's not the easiest watch, but in the end, the experience will be worth it. You'll wake up the next day gracious to be moving and breathing, and be reminded of the power of human compassion. Sometimes, the deadliest and darkest days show the true power of the human spirit.